So basically I have gotten to the point where if I want a new meal to make that will for sure be tasty and uncomplicated, I just ask Miranda. Because she’s an awesome cook and has a lot of tasty recipes up her sleeve. I might stalk Facebook and snag a picture of her to post here later but right now we’re just going to stare at this delicious bowl of chili instead. Sauté diced onions, bell pepper and garlic. Add your ground beef and spices to your skillet. 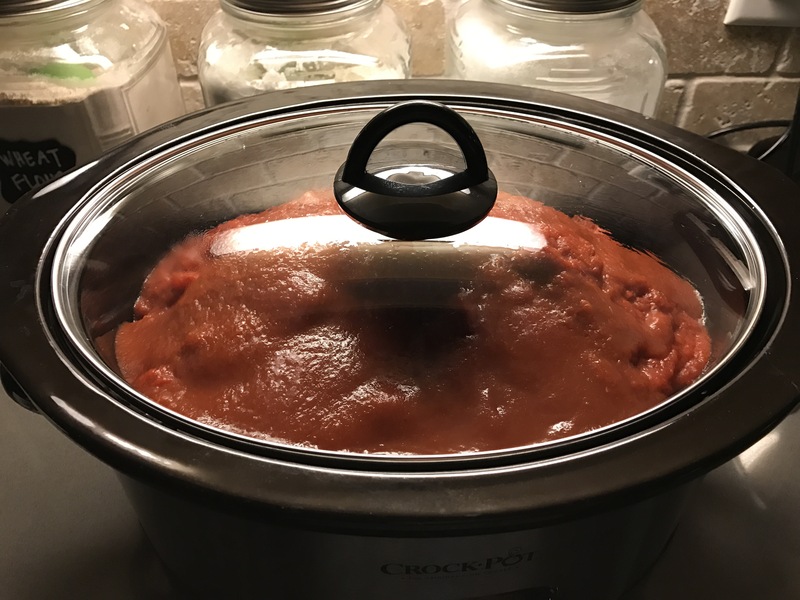 Chop up the sweet potato and purple cabbage and place on the bottom of your slower cooker. Place the beef mix on top of the purple cabbage in the slow cooker. Add the cans of tomatoes (sauce, crushed, diced) on top. This meal was so easy and really flavorful. And I love that is has sweet potatoes and cabbage inside. The potatoes added a fullness to it and I’m all about adding veggies to meals and not really knowing they are there. We enjoyed avocado and plantain chips on top of our chili as well. 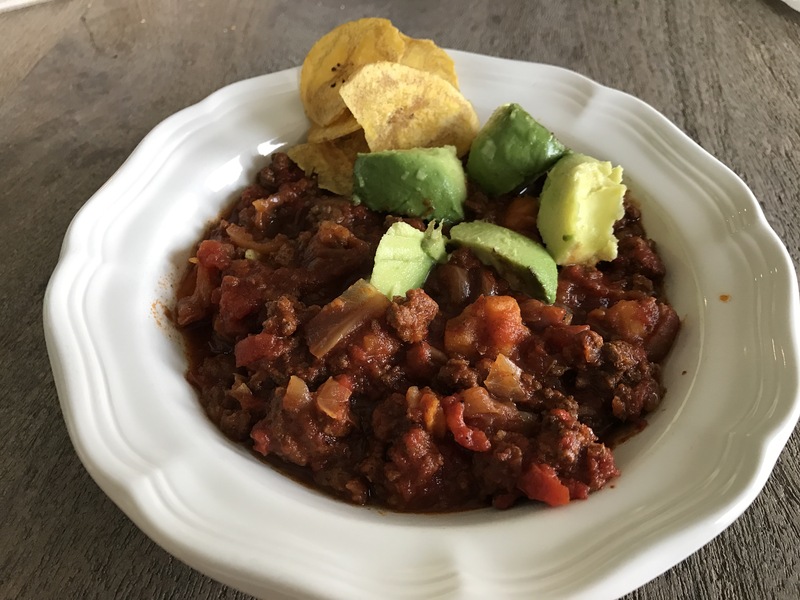 This chili definitely has some kick to it so the avocado kind of helped bumper that. One more tip… this makes a lot. So freeze half! 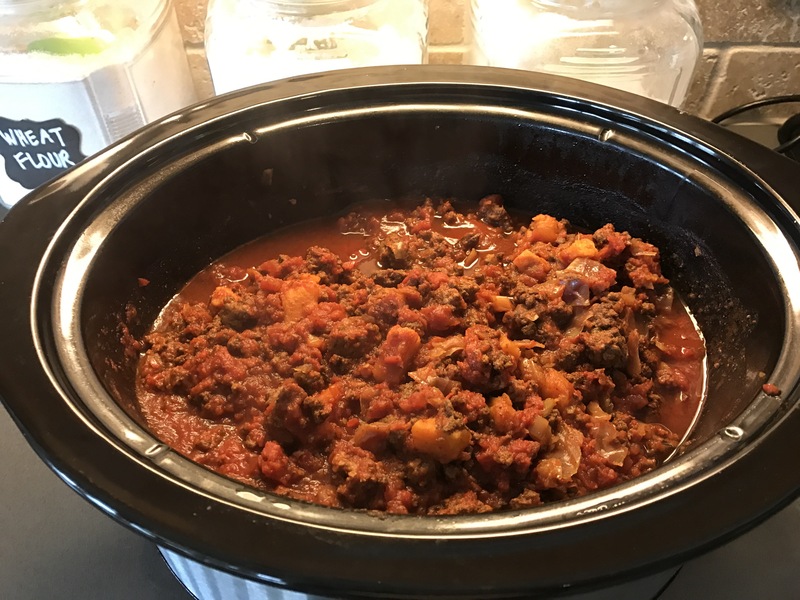 We had plenty for leftovers and now I have a quick meal in the freezer just waiting for us when we need it! Jacob also enjoyed taking this as leftovers to work so that should definitely tell you this is a great go to meal! Hope you enjoy! You are so sweet! Of course you deserve credit girl! You need to make yourself a cook book! Get on it!